This edited volume investigates the sociolinguistic aspects of Spanish bilingualism in three discrete areas of the world: Spain, Latin America and the United States. Chapter 1 introduces the theoretical framework underpinning the book’s 12 studies of Spanish in contact with other languages and presents its overarching theme: the creation of linguistic identity in multilingual communities. As Niño-Murcia and Rothman explain, the construction of identity is a constant renegotiation, and language use provides a means of understanding how an individual views herself in a multidimensional, multilingual space (LePage and Tabouret-Keller, 1985) and how she constructs social positions among others (Bucholtz and Hall 2005). Arguing that identity construction through language use is more readily apparent in language contact environments, the researchers’ foci range from Spanish in contact with Basque, Gallego and Catalán in Spain to indigenous language contact with Spanish in Latin America and finally, to Spanish as a contact language with English in the United States. The authors attempt to decompose larger labels such as ’’Maya’’ or ’’Gallego’’ that effectively lose sight of the individuals’ identities into smaller categories targeting the individual and the individual’s networks (see De Sousa Santos 1998, Cameron 2001). The linguistic analysis of bilinguals who participate in at least two communities of practice (Eckert and McConnell-Ginet 1999) offers a fascinating glimpse of how these individuals perceive themselves within a larger, social space. Chapters 2-4 focus on languages in contact with Spanish in Spain, discussing Basque, Galician and Catalan. Chapter 2, ’’Bilingualism, identity, and citizenship in the Basque Country’’ by Maria-Jose Azurmendi, Nekane Larrañaga and Jokin Apalategi, focuses on the revival of the Basque language in three territories: Iparralde in France, Navarre in Spain and the Basque Autonomous Community. A combination of language loyalist movements and institutional innovations have created a situation of increased Basquization in the Basque Autonomous Community, largely due to positive attitudes towards Basque and the school systems, both private and public, that promote bilingualism, using either Basque as the primary tool of edification with Spanish as a subject or using a bilingual approach. The Basque situation in Navarre shows a slight increase in Basque speakers, but Basque competence and use continues to decline in Iparralde. 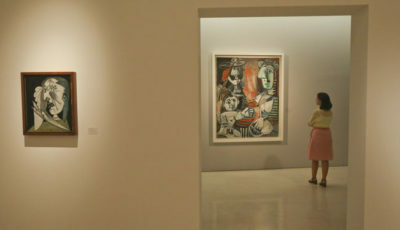 Identity and heritage seem to play a critical role in Basquization’s success, with the highest percentage of citizens in the Basque Autonomous Community self-identifying as either Basque or Basque-Spanish, and the lowest percentages self-identifying as Basque or Basque-French in Iparralde. The authors argue that Basque presents a fascinating, dynamic case of the evolving relationship between language and identity at both a societal and individual level. Chapter 3, ’’Conflicting values at a conflicting age’’ by Verónica Loureiro-Rodríguez, investigates the language situation in Galicia, where the previously stigmatized autochthonous Galician language gained co-official status with Spanish in the Spanish Constitution of 1978. Loureiro-Rodríguez’s findings among Galician adolescents are somewhat paradoxical: while adolescents have the most positive attitudes towards Galician, they actually use it less frequently than older generations. It appears that Galician is rapidly becoming diglossic: ’’standard’’ Galician is taught in schools, but adolescents find the dialect unnatural and elitist. They believe the Galician spoken in las aldeas, or ’villages,’ is the real Galician, the Galician preserved over the centuries and spoken by their parents and grandparents. Because of the restricted environments in which the dialects of Galician are deemed acceptable by adolescents, Galician language use is decreasing among younger generations, and Loureiro-Rodríguez argues that the region’s language planning is desperately in need of change to prevent future deterioration of Galician. Emili Boix-Fuster and Cristina Sanz’s ’’Language and identity in Catalonia’’ (Chapter 4) focuses on the discrepancy between L2 Catalan speakers that self identify as ’Catalan’ and L1 Catalan speakers who perceive these L2 speakers as ’non-Catalan,’ suggesting a divided perspective on Catalan identity. The authors discuss the changing concept of ’Catalan’ by analyzing José Montilla’s political rhetoric dividing Catalans into Catalans by birth and by Catalans by choice, a choir director’s use of Catalan, Spanish, English and Italian in animating its members, and an experiment designed to elicit linguistic differences among Catalan L1-Spanish L2 speakers, Spanish L1-Catalan L2 speakers and native bilinguals. Boix-Fuster and Sanz conclude that Spanish, the national majority language, is having a great effect on Catalan in both lexical items and pronunciation, and the identity of ’Catalan’ typically based on language alone is in need of reexamination and revision as more nonnative speakers acquire the language. Chapter 5, ’’Literacy and the expression of social identity in a dominant language: A description of ’mi familia’ by Quechua-Spanish bilingual children’’ by Liliana Sánchez, moves the focus of study to Latin America, investigating the notion of family in the writing of monolingual Spanish speaking children and bilingual L1 Quechua-L2 Spanish speaking children. Although no significant differences in text structure emerged, there were notable semantic differences, demonstrating cultural differences between these two groups. The author argues that different profiles emerge in the two groups’ writing: monolingual Spanish-speakers tend to focus on interpersonal relationships as well as personal qualities and psychological attributes of their family members, while bilingual speakers discuss their quotidian activities, responsibilities and the families’ animals. Depending on the expectations of teachers and the school systems, the assumption that monolingual speakers have a more advanced writing profile may surface, whereas cultural differences could actually be leading to different interpretations of the same assignment. Chapter 6, ’’Maya ethnolinguistic identity: Violence and cultural rights in bilingual Kaqchikel communities’’ by Brigittine M. French, draws attention to two competing forces in Guatemala: nationalistic suppression of indigenous language, and therefore of indigenous identity, and a recent pro-Maya push to preserve and protect both indigenous languages and cultures. The same indigenous people forced to live through La Violencia, a state-sponsored mission to eradicate the indigenous influences impeding the idealized Guatemalan cultural homogeny, are now witnessing an opposing movement: the Ley de Idiomas Nacionales, passed in 2003, guarantees indigenous people the right to their language and cultural identity. An assessment of a bilingual Kaqchikel-Spanish speaker’s language use demonstrates a conflicted sense of identity: Fidencio Kan is bound to his heritage and his national language on the one hand, but has been made to feel ashamed of his roots by the government on the other, choosing to speak Spanish to advance in society. In ’’’Enra kopiai, non kopiai.’: Gender, ethnicity and language use in a Shipibo community in Lima’’ (Chapter 7), Virginia Zavala and Nino Bariola equate female Shipibo speakers’ bold use of vernacular language in Canta Gallo, Lima with their increased power and agency within their community. According to Zavala and Bariola, the role of women in Shipibo communities in the Amazon is not as valued as the role of men, as men are considered the ’’workers,’’ leaving the house to fish and hunt, while women stay home with the children and tend to the household. Upon moving to Lima, however, it is the women who become the ’’workers’’ and maintain a sense of Shipibo identity, making traditional Shipibo handicrafts and leaving the home to sell them. With this new economic and societal value, Shipibo women have become increasingly powerful in Canta Gallo and express this power linguistically, using Shipibo more than men and clearly voicing their opinions in community meetings. An analysis of individual speakers at these community gatherings illustrates the assertiveness in women’s utterances compared to the softened, often hedged statements of the men, a definite contrast to the relationship between the sexes in the Amazon. In Chapter 8, ’’Kreyol incursions into Dominican Spanish: The perception of Haitianized speech among Dominicans,’’ Barbara E. Bullock and Almeida Jacqueline Toribio investigate the traits of the highly stigmatized fronterizo speech in the Dominican Republic, also called Cibaeño, which is spoken in the northwest along the border with Haiti. The researchers conducted a language attitude test to determine whether there are specific linguistic features triggering the negative assessment of Cibaeño speech or if these negative perceptions are actually based on cultural and racial stereotypes. A general consensus among those judging the speakers linked less prestigious speech with darker skin color, aligning ’Haitian’ with fronterizo traits. The authors find that the stigmatized ’Haitian’ features, such as liquid neutralization, posttonic syllable reduction and prosodically marked intonational contours, are actually properties of all races from rural, less educated speech and not simply Haitian or ’’Haitianized’’ speakers. In Chapter 10, ’’Choosing Spanish,’’ Elaine Shenk analyzes a Dual Language Immersion Program in West Liberty, Iowa, tracking the use of Spanish and English in different participant structures. Shenk finds varying levels of Spanish use in the different structures (listed here from lowest to highest): unstructured student interaction, student-directed classroom interaction, student-fronted classroom interaction and teacher-fronted classroom time, and the author argues that the larger societal pressure to speak English in situations not guided by a DLP teacher is dominant among the students. However, five students did exhibit a higher level of Spanish use than others, and sociolinguistic interviews with their families revealed ideological similarities: they valued and took pride in their cultural heritage, viewed their bilingual children as brokers between two different linguistic and cultural communities, and some saw an economic advantage to bilingualism as well. Shenk concludes that collaboration between teachers and parents to instill cultural appreciation in young Latinos would result in a greater use of the minority language. In Bonnie Urcioli’s ’’Whose Spanish?’’ (Chapter 11) the author examines the complexity of college Latinos’ linguistic identity in the United States. Urcioli argues that institutions place very different cultures and dialects under the catchall term of Latino, and in spite of very different identities, Latinos are supposedly all united by the same language under this ideology. 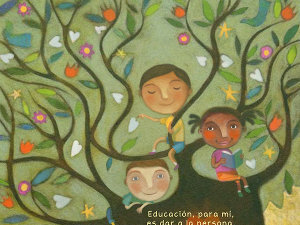 However, this language-based social solidarity is much more complicated for second-generation Latinos who primarily speak English as well as Spanish-speakers whose home dialects do not match the standard Spanish taught in universities. In addition to these linguistic complexities in Spanish, many Latinos are viewed as inferior or inadequate English speakers, obscuring the constructing a single, pan-Latino linguistic identity even further. Chapter 12, ’’Constructing linguistic identity in Southern California’’ by Isabel Bustamante-López, analyzes the written linguistic narratives of 38 Latino participants in Southern California, detailing their histories with English, Spanish and the communities and registers they associate with both languages. 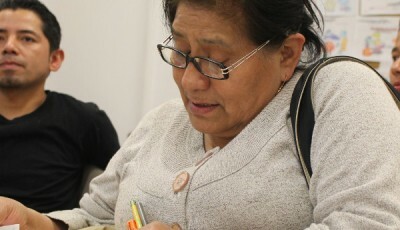 She finds a general shift towards English as the more dominant language in second and third generation Latinos, but they continue to view Spanish as an integral part of their identity. Bustamante-López argues that for the participants, identity is a dynamic and fluid process, continually renegotiated in various social encounters using their English, Spanish and code-switching to express themselves. Chapter 13, ’’Indicators of bilingualism and identity: Samples from the Spanish-speaking World’’ written by the editors Mercedes Niño-Murcia and Jason Rothman, presents the results of an ongoing, longitudinal study of the multilingual upbringing of three young boys in California who speak Italian, Spanish and English. Their Italian father and Colombian mother have created a home environment that encourages the use of their own native languages; the father speaks with the children exclusively in Italian, the mother, although more liberal in her language shifts, speaks with the children mostly in Spanish, and the children have acquired English from school and their community. The children are proficient in all three languages, using them to create different identities for various pragmatic and sociolinguistic reasons. 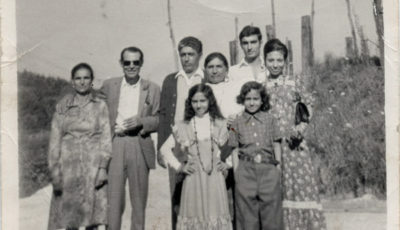 Among the brothers and with their father’s family, they tend to use Italian, but they choose to speak in English when other English speakers are present. With their mother, the mother’s family and in front of other Spanish speakers, Spanish is generally chosen, showing the boys’ sensitivity to what they see as the most appropriate language in a given context. Finally, different topics elicit different language choices: Italian is generally spoken when playing sports, which they often play with their father, Spanish, which is associated with their mother, is often used in nurturing interactions and to give commands, and English is chosen to discuss culturally-relevant phenomena, such as Transformers. This ’’linguistic project,’’ as described by the family, has instilled an appreciation of multilingualism and multiculturalism in the boys, who adeptly demonstrate their ability to navigate among their possible language choices and renegotiate their linguistic identities for different interlocutors and situations. Finally, an afterword written by Margarita Hidalgo reviews the concept of identity construction under different theoretical frameworks and offers a broad perspective of Spanish and bilingualism in different areas of the world. Bilingualism and Identity provides a fascinating panorama of Spanish in contact with other languages in three discrete situations: as the co-official but nationally dominant language in Spain, the majority, prestige language in Latin America and a less prestigious, minority language in the United States. Elaborating upon the various ways in which bilingual speakers create and continually renegotiate their identities, this collection draws attention to the multifarious and complex identities of individuals who navigate among multiple linguistic worlds. In short, Bilingualism and Identity is an indispensable text for any scholar interested in the bridge between Spanish bilingualism and identity. Limited by the foci of research to date, bilingualism in Spain is more thoroughly documented than the many bilingual settings in Latin America: Spain’s Basque, Galician and Catalan are all discussed, while only Quechua, Kaqchikel, Shipibo and Haitianized Dominican Spanish are addressed in Latin America. Numerous other contact situations between Spanish and Latin American indigenous languages offer similar opportunities to investigate identity construction within heterogenous communities, and it is my hope that future volumes will investigate the individual’s navigation through these complex linguistic and social worlds as well. My only small criticism of the book has to do with one departure from what I saw as the primary goal of analyzing identity construction. While most chapters focused primarily on the individual’s negotiation of linguistic identity in a multilingual community, chapter 2 stood out as a large-scale study of broad, regional surveys and language data without any real regard for individuals’ agency in the process of identity construction (see LePage and Tabouret Keller 1985, Cameron 2001). This approach is not necessarily the wrong way to handle identity studies, as extensive data analysis often provides a clear description of a community at large, as demonstrated by numerous first wave studies (as described by Eckert 2005, see Labov 1966, Trudgill 1974, Macaulay 1977 and Cedergren 1973). However, the chapter did noticeably deviate from the rest of the book in its aim. In spite of that small lapse in unified purpose, these articles are both edifying and absorbing, offering relevant, contemporary perspectives on the bilingual Spanish speakers’ continually evolving linguistic identity. Bucholtz, M. & Hall, K. 2005. Identity and interaction: A sociocultural linguistic approach. In Discourse Studies 7(4-5): 585-614. Cameron, D. 2001. Working with spoken discourse. Thousand Oaks CA: Sage. Cedergren, H. 1973. The interplay of social and linguistic factors in Panama. PhD dissertation. Ithaca: Cornell University. De Sousa Santos, B. 1998. 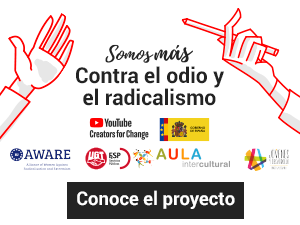 De la mano de Alicia: Lo social y lo politico en la Postmodernidad. Bogotá: Ediciones Uniandes. Eckert, P. and McConnell-Ginet, S. 1999. New generalizations and explanations in language and gender research. Language in Society 28:185-201. Labov, W. 1966. The social stratification of English in New Yok City. Washington, D.C.: Center for Applied Linguistics. Le Page, R.B., & Tabouret-Keller, A. 1985. Acts of identity: Creole-based approaches to language and ethnicity. Cambridge: CUP. Macaulay, R.K.S., & Trevelyan, G.D. 1977. Language, social class, and education: A Glasgow study. Edinburgh: Edinburgh University Press. Trudgill. P. 1974. The social differentiation of English in Norwich. Cambridge: Cambridge University Press. Whitney Chappell is a PhD student in Hispanic Linguistics at the Ohio State University specializing in the intonation-pragmatics interface and varied topics in Spanish sociolinguistics.